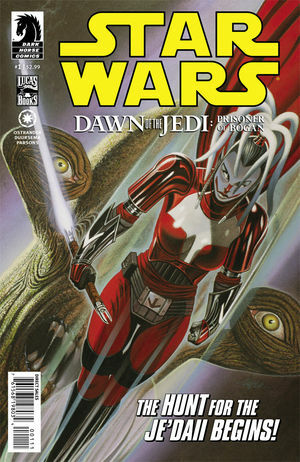 We’ve been touch/go fans of the Dawn of the Jedi series since it first debuted as a Dark Horse comic book series. Into the Void is no comic. The depth of character and setting development here is extra-ordinary and this is a brilliantly craft tale that doesn’t fit the typical Star Wars novel mold. Yes there are concurrent sets of plots as always, but we get the present and then a past flashback that helps to inform what is going on in the present. It’s a good fit. What isn’t just a good fit is how this sunovabeeeatch ends. AFter engaging us page after page after page, the ending of this book leaves a lot to be desired. The conclusion is no conclusion and is just a – ok he’s dead move along ending. This is a story about a brother and a sister, one embracing the force one that rejects it – it’s good fun until the final chapter, which leaves a bitter aftertaste. Oh man are we excited to this series come back! Dark Horse now has this FRAKKED idea that every series should be a mini-series of 5 or 6 issues after which they take a few months off. 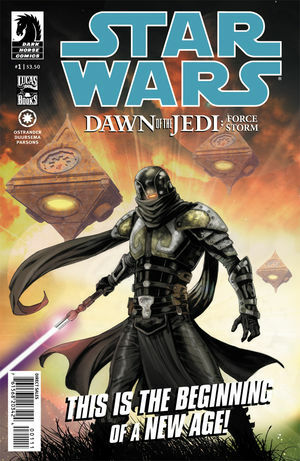 We finished the first five issues of Dawn of the Jedi back in September. 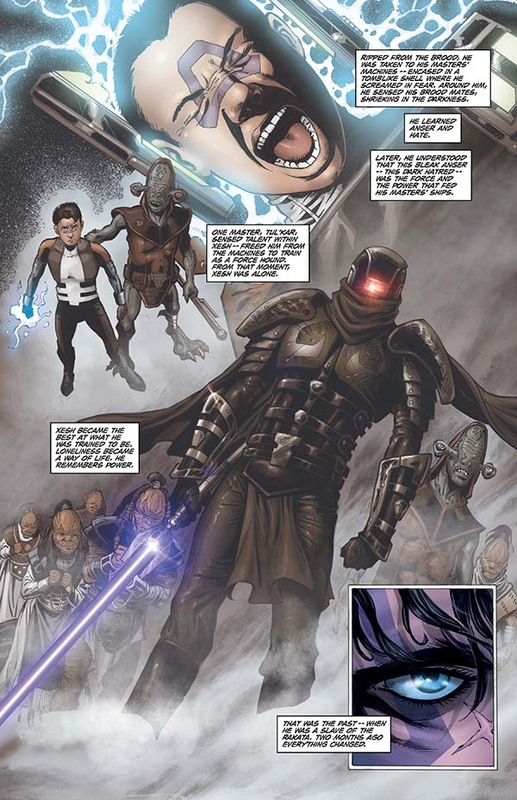 At the end of that story arc – Xesh – the ‘Force Hound’ was send to Bogan with other miscreants to re-learn the ways of the force. Now we’re finally going to see what this Bogan is all about and it sure looks/sounds impressive to us. Ok we’ve finally finished ready the first five issues of the next great Star Wars story – Dawn of the Jedi. The first five issues make up the ‘Force Storm’ story arc and yeah it’s mostly about the ‘storm’ that happens on Typhon when the Force Hound Xesh lands. Xesh is an interesting character and to be honest, he’s the only one that really resonated with us through the first five issues. There are just too many characters in this series to keep track off, and hey Xesh is central and he’s the bad guy (think Vader). Anyways good fun, interesting read as a series. 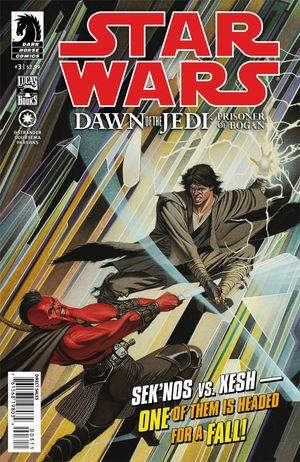 NO this doesn’t compare to John Ostrander last mega masterpiece – Star Wars Legacy (not even close), but it’s still an enjoyable plot line and one that we’re looking forward to reading about for at least another 45(?) issues.